High school student Sha'Naya Gwynn recently landed a paid summer job in Baltimore that just may influence her career path. 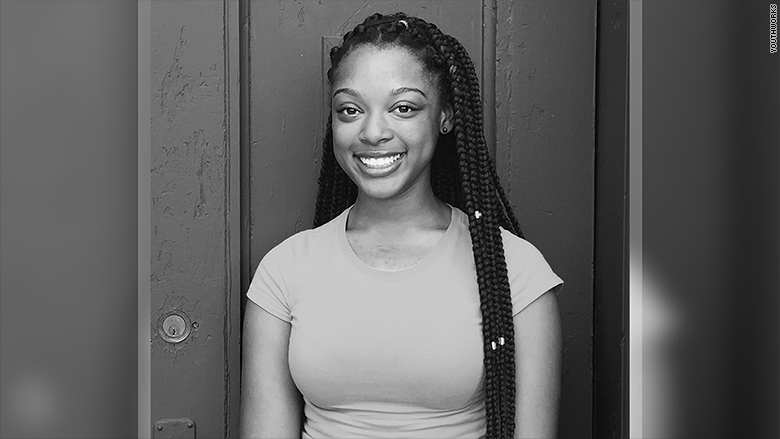 Gwynn, 17, was one of 8,000 people selected by the city for its YouthWorks program, an annual summer employment initiative that places Baltimore's young residents (aged 14 to 21) in various jobs. The positions are offered by private sector and non-profit organizations, as well as city and state employers. Kids commit 25 hours weekly to the five-week program and are guaranteed at least minimum wage (about $8.75 an hour in Baltimore). While some jobs range from working at a startup or hospital to cleaning city parks and helping out at the Oriole's baseball stadium, Gwynn is being paid this summer to learn how to code. 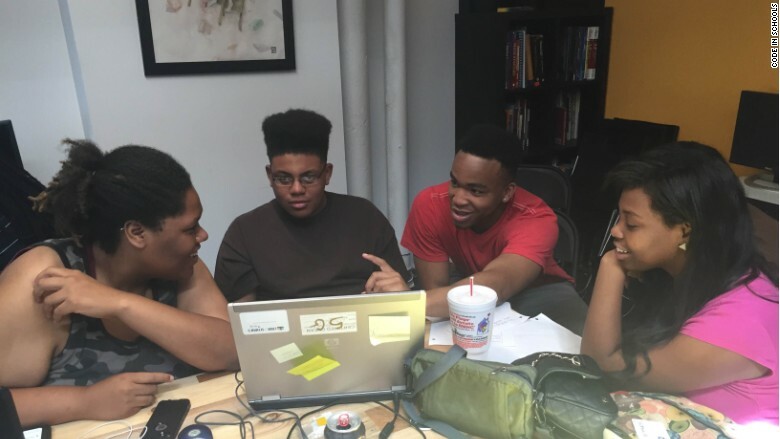 Gwynn, a senior at Baltimore Polytechnic Institute, was matched with YouthWorks' non-profit partner Code in the Schools, which runs a coding bootcamp called CodeWorks. The program runs four different courses, including web development, video game development, robotics/programming in Python (a language commonly used to create applications for websites) and database design/coding. For five weeks, Gwynn has been learning Python through an intense workload. "We have assignment sheets and projects everyday -- we're coding a lot," Gwynn said. Gywnn, who had always wanted to become a neonatal nurse, is now considering becoming a computer technician. "I want to get into something that not a lot of girls are doing right now," she said. Although YouthWorks piloted CodeWorks last year with just 15 students, its popularity is growing: there are more than 60 students participating this year. "We already partner with Baltimore public schools to offer computer science education during the school year. But we saw the need to expand our work to engage youth even through the summer," said Charlotte James, communications director for Code in the Schools. At the end of the program, CodeWorks participants present their projects to business and community members. Last year, many students later found jobs in the tech industry or enrolled in four-year degree programs -- some on full scholarships, James added. The YouthWorks program is not exactly new: it's been around for 15 years years. Just before 2000, it attracted about 5,000 participants each year, but federal funding ultimately dried up. However, Baltimore refused to let the program die. The city has since turned to its business leaders, companies and foundations to help keep it going. CodeWorks students working on a group project. 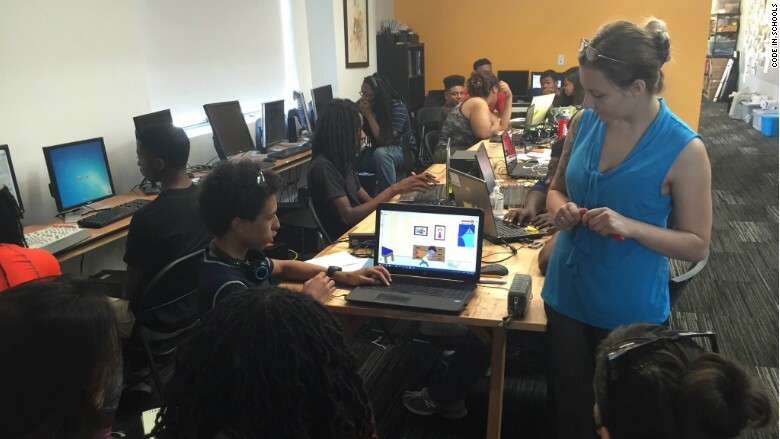 "The program is a chance for young people in our city to explore different skills and for us to prepare our future workforce," said Jason Perkins-Cohen, director with the Baltimore Mayor's Office of Employment Development, which oversees YouthWorks. But it's not a cheap investment for the city. On average, it costs $1,500 for each participant during the five weeks program -- equivalent to about $12 million for the summer. YouthWorks places youth aged 14 to 21 in a variety of paid jobs over the summer. 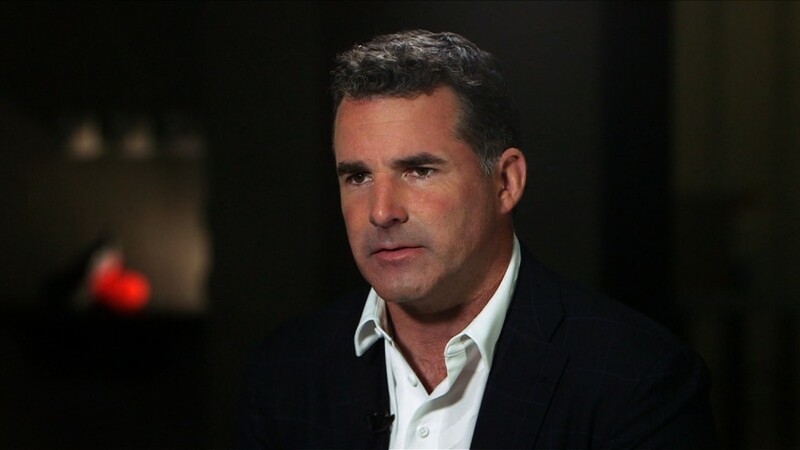 "They're all on our payroll for that period," said Perkins-Cohen. The program skews younger for those in need of a first time job, and about 97% of the youth involved are black. Almost half of them are between the ages of 14 and 15. Kids typically hear about YouthWorks from the city's outreach in schools. Students apply in early spring and interview in person. If accepted, YouthWorks places them in a role that matches their interests. The city significantly boosted the program by 3,000 participants this year due to the incident involving Freddie Gray. Gray, who was a 25-year-old unemployed Baltimore resident, died in 2015 after sustaining a neck injury while in police custody. "When the Freddie Gray incident happened, the community said we needed to do better," Perkins-Cohen said. "We had to step up for our youth."